Working in the industry has its advantages so I’m sending you this because you may have been caught recently when you went to the UK without realising it. It’s best to check these things so you don’t get any nasty surprises. 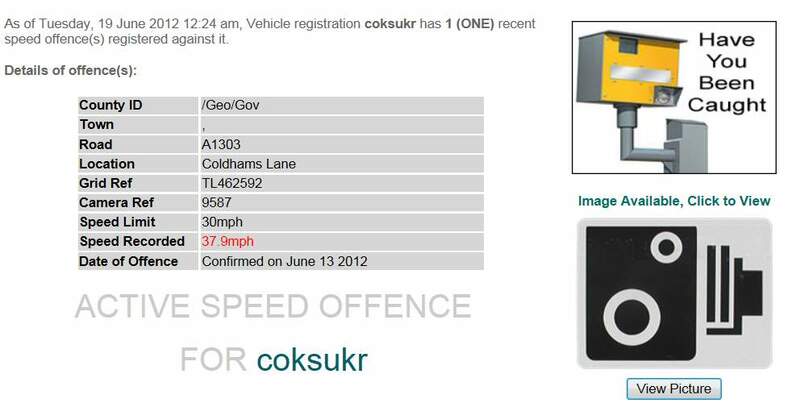 Thought you might be interested to know that following the UK Government's freedom of information act you can now get access to ALL speed camera offences registered in the last 12 months. Did you know that every time your car goes past a speed camera, even 1mph over the set limit, it is registered and put on a database? You only get a ticket if you are way over the limit or, (this is the bit that I didn't know) if you receive over 10 near misses, you will be classed a serial offender and get a ticket the next time you go just over the limit. Just enter your reg to access the info. If there is any data on your vehicle you can click on the camera window to see a copy of the photograph. Can I check If I have been caught speeding? Currently there is no way to check a speeding fine immediately after you think you have been caught by a camera or mobile device. Be aware of scam/joke sites offering this service. 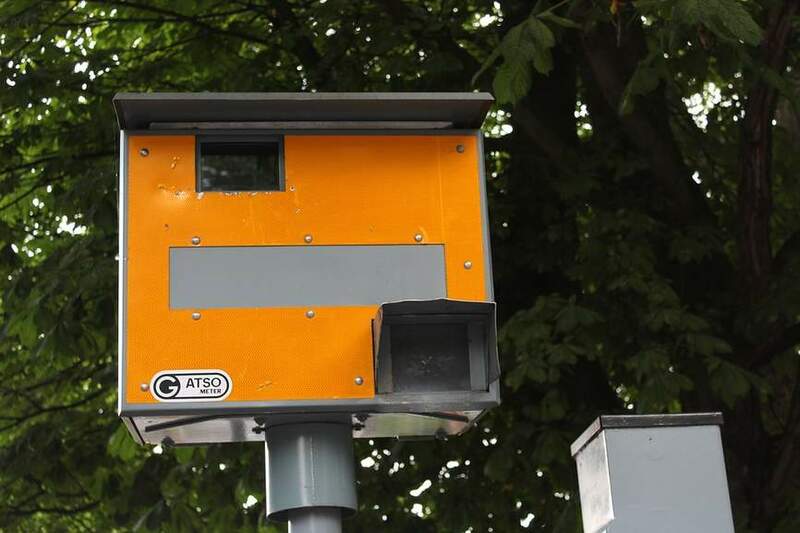 How long does it take to receive a speeding fine? If you have been caught by a speeding camera or other mobile device then a notice of prosecution (NIP) must be delivered to the address of the registered keeper of the car within 14 days of the offence. If you are pulled over by the police for speeding then the NIP will be delivered to you there and then. The MINIMUM penalty for speeding is a £100 fine and 3 penalty points added to your licence. The MAXIMUM fine, if caught speeding on a motorway, is £2500. If it is your first offence, you could be offered the opportunity to attend a speed awareness course which will stop any points being added to your licence. You also could be banned from driving if you build up 12 or more speeding points on your licence within 3 years. Is there a way to check the endorsements on my driving licence? You can check the endorsements on your driving licence by clicking on the government website here. How long do speeding points stay on my licence for? Speeding points will stay on your licence for 4 years from the date of the offence. However they will be ‘valid’ for only 3 years. This means insurance companies should not take these points into account once your conviction is considered ‘spent’. Groupon are offering a 12 month Auto-Aid personal breakdown cover for policy holder and spouse for just £39. It includes UK wide Roadside Assistance, Home Breakdown and Emergency Travel and Overnight Accommodation. Get a Kent Car Care Gift Wash Bucket Set which includes free delivery for only £10.39. Grab a 3 port with USB charger for your car here. this is really cool website - thanks dude! Got more chance of catching HIV than this crap trap. Apparently I was doing 81mph in scotland last wednesday. Report as SPAM .......It was speedingly funny though OP!!! Ha ha, I didn't read the rest of the thread before checking it and nearly shat myself. I'm in my 2 year probationary period and it said I was doing 73.4 in a 60. BA5TARD! is this that really crap joke website from 10 years ago? Well, it's been at least a month since it was last posted, so it's worthy of a repost. Well, it's been at least a month since it was last posted, so it's worthy … Well, it's been at least a month since it was last posted, so it's worthy of a repost. Not everyone has a database. Jus sayin. Its ****, just to scare people, its a FAKE, by some **** with nothing better to do with his time. so why has it taken you 4 months to realise it ? Went straight into the link without reading comments. Just about to rip the wife out of bed until I get clicked on see photo. do it anyway - she prob deserves it ! Its ****, just to scare people, its a FAKE, by some **** with nothing … Its ****, just to scare people, its a FAKE, by some **** with nothing better to do with his time. Why would anyone join up to resurrect this terrible thread? It means you shouldn't have the internet.